The 2017 hurricane season saw two major storms hitting the United States mainland: Hurricane Harvey in Texas and Hurricane Irma in Florida. Then there was Hurricane Maria, which obliterated a good portion of Puerto Rico. With the 2018 hurricane season underway, you will want to be well prepared for potential hurricanes by verifying you have the right insurance coverages on your home. You should also know how to file a claim after the storm has passed to avoid property damage insurance disputes. Hurricane damage is not covered by your basic homeowner’s policy. 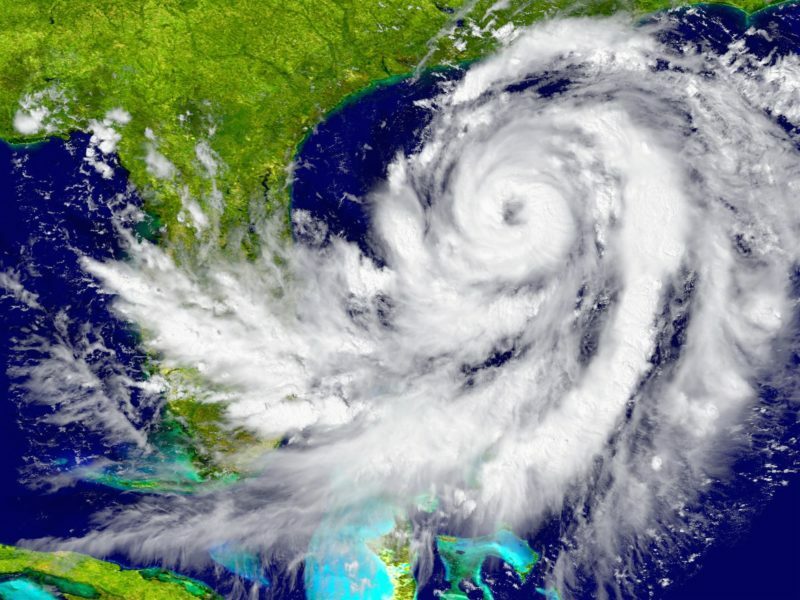 In many places, Florida included, homeowners, have to purchase a separate hurricane policy in order to have their home insured against tropical storms and hurricanes. Your basic homeowner’s insurance only provides protection from water damages from normal rain showers and thunderstorms. If a hurricane damages your home and you do not have hurricane insurance, then the damages are not covered. Just remember, hurricane insurance only protects against water damages not associated with flooding. Flood damage is not covered by your homeowner’s or hurricane policies. Another assumption some people make is assuming if they have homeowner’s and hurricane policies they are protected against flooding. However, that is not the case when it comes to damages caused by flooding. You must have a separate flood insurance policy to cover flood damage. As we saw in all three major hurricanes in 2017, many homes were destroyed due to flooding in places that normally do not flood. Sadly, many of the homeowners’ claims were denied by their insurance companies because they did not have flood insurance. Adding flood insurance does have a 30-day waiting period, so keep that in mind if you are considering getting it for your home. You cannot wait until it looks like a major storm is going to hit your area and call to get flood insurance added on right away. Make sure to document all of your contents before a storm hits. It is a good idea to have an inventory of all of your belongings if you have to file a claim for the contents of your home. The easiest thing to do is to take pictures and videos of each of the rooms within the home—don’t forget the garage and/or storage shed—prior to a storm hitting. Having this documentation not only helps you remember what was where but ensures you are claiming all damaged contents. In the event of a total loss, then your insurance company should pay you the maximum coverage amount you have on the contents. Your automobile insurance does cover flood damages for your vehicles. In the event, your vehicles are damaged due to flooding and you have comprehensive coverage on your vehicles, then your vehicles are protected against flooding. Your insurance company will pay to either repair or replace your vehicles, minus your deductible. If you do not have comprehensive auto insurance and live in a known flood zone, you may want to add it on just to be safe. Your deductibles for the different coverages can vary. It is not uncommon for homeowners to have different deductible amounts on each of their policies. For instance, in Florida and Texas, homeowners could have three separate coverages: homeowner’s insurance, hurricane insurance, and flood insurance. Each of these policies will have their own deductible amounts. Homeowner’s policies typically have a set dollar amount. With hurricane policies and flood insurance policies, the deductible could either be a set dollar amount or a percentage of the value of the home and contents. For example, you could have $500 deductible on your homeowner’s insurance, $1,000 deductible on your hurricane insurance, and a five-percent deductible on your flood insurance. How percentage deductibles work is easy. You take the value of the home and contents and multiply it by the percentage. If your home and contents were valued at $300,000 and you had a five percent deductible, it would come to $15,000. This means you would be responsible for the first $15,000 in damages before your insurance would pay. Your insurance coverages could include other types of protections. It is worthwhile to read through each of your insurance policies to know what coverages you have available. Most people do not even realize they could have insurance if they are displaced by a major storm and have to live elsewhere for a set period of time. Your policy could cover living expenses like rent, food, and other such costs for as long as a year while you rebuild and repair your home. There can also be insurance to cover any food lost due to power outages, as well as other special coverages to help recover after a major storm. Sometimes these coverages will be listed under your main homeowner’s policy and, other times, they are listed under your hurricane and/or flood insurance policies. Your insurance could include coverage for storm cleanup. In major storms, trees are going to get blown over. Even if your home is not damaged, you could have several trees that were blown over and other storm-related debris left in your yard that needs to be cleaned up. Some policies have coverages for cleanup that pay on average between $500 and $1,000, depending on your policy. You could qualify for government assistance programs. Aside from your insurance coverages, state and federal governments often activate special assistance programs after major storms. For example, they might provide temporary shelters, food, water, clothing, and other such items for people. Some people could also get food assistance for a short period until they are able to return to work. In addition, FEMA could offer low-interest loans to help pay for repairs not covered by your insurance. Your insurance company could require you to make temporary repairs. It is not uncommon for insurance companies to require people to make temporary repairs to stop further damages to their homes after a major storm if possible. For instance, most of the shingles were blown off your roof, but the underlayment is still attached. 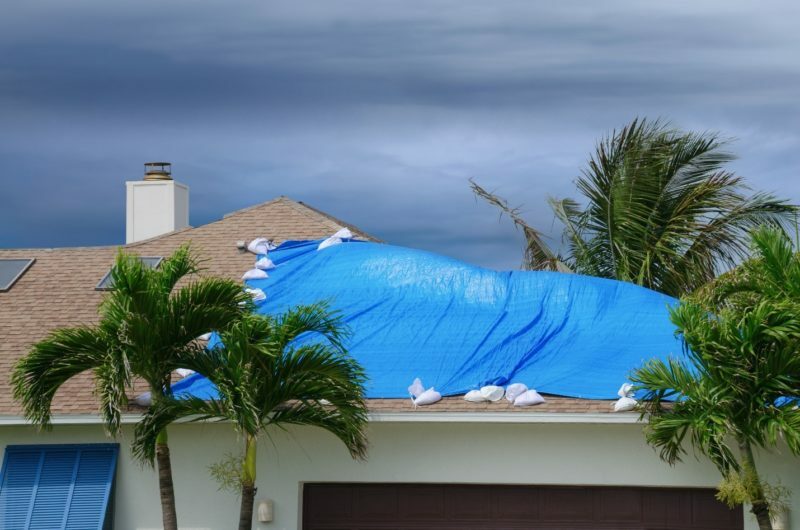 Your insurance company will want you to put tarps over the roof to stop water from getting inside the home and causing further damages, even if the storm already caused water damage. Before you make any temporary repairs, make sure to document all damages by taking pictures and videos on your smartphone or digital camera. Otherwise, when the adjuster arrives, he or she may not properly assess the actual damage to your home. You should also keep all receipts for anything you had to purchase to make the temporary repairs, as these expenses can be included as part of your claim. Remember to check replacement coverage on contents you bought using a credit card. Some credit cards offer replacement coverage protection on items you bought using that card. This protection could be beneficial if the value of your contents is more than your insurance coverage. For instance, you just purchased a brand new TV that is destroyed during a hurricane. Your insurance company will only reimburse you $500 for the TV. However, you paid $2,500 for the TV. You contact the credit card company and find out the purchase is covered under its replacement coverage protection. It will reimburse you the entire costs of the TV minus a $50 deductible. Get help from an insurance claims lawyer as soon as possible. Insurance companies will be overwhelmed after a major storm hits. They often rely on outside help from adjusters who are not familiar with repair and rebuilding costs in your area. This can lead to claims being undervalued. In addition, adjusters may not be fully aware of all of the coverages you have on your home and could overlook specific items like a reimbursement for all the perishable food you had in your refrigerator and freezer. It is for these reasons you will want to contact an insurance claims lawyer right away. Your lawyer can assist you with filing your insurance claim. In addition, they will let you know up front, after visiting your home, how much your insurance company should pay you for your damages. For assistance in filing a property damage claim, roof leak water damage claim, hurricane or flood claim, or addressing property damage insurance disputes over a filed claim, please feel free to contact Silver, Bass, Brams & Daniels at 1-888-897-1786 to schedule a consultation appointment with one of our insurance claim attorneys today!